Views Preview: Is It Time To Bring Reporters In Out Of The Storm? 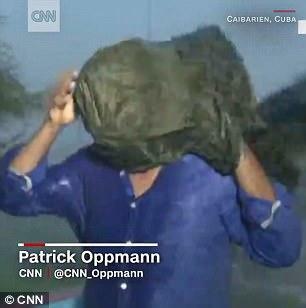 CNN's Patrick Oppmann reports on Hurricane Irma from Cuba. Reporters have been wrapping themselves around street signs and lampposts since Dan Rather’s first hurricane live shot during Hurricane Carla in 1961. We tell our audiences to stay inside, is it time to take our own advice?